You must have seen that whenever you apply for a loan from any financial institution, they check your CIBIL Score. This is the statistics which makes clear to financial institution whether you have the financial stability to be given the loan. It is always better to know your CIBIL score prior to applying for a loan so that your application does not get rejected. You may be thinking how to know the score free of cost. As you continue reading you will be able to understand how to know your CIBIL score online free of cost. Step 1: If you wish to know your CIBIL score free of cost through online means, then you need to be at the site https://www.cibil.com/freecreditscore. Fill up the form that is available on the site. You need to authenticate yourself. Step 2: The form that has to be filled up asks for these pieces of information from you: PAN, E-mail Address, Date of Birth, Gender, Income Type and Monthly Income. You must check the box where it states that you acknowledge and accept the terms of conditions which are applicable. After doing so, you need to click on the Submit Button. 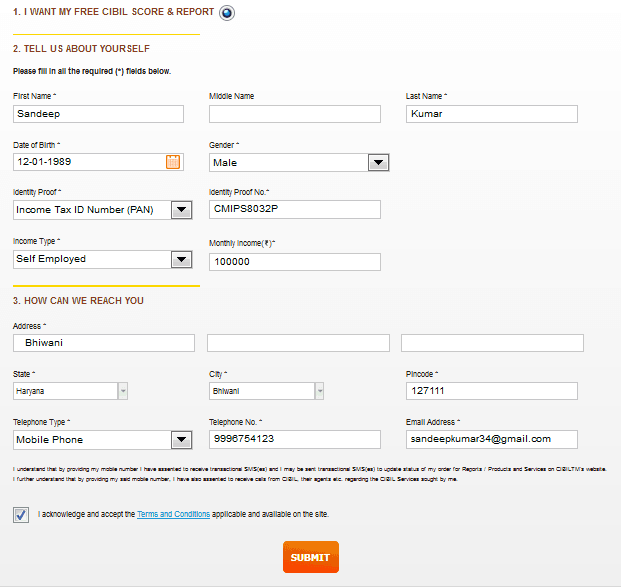 In next page, you need to enter your full name, contact number and full address. Click the 'No thanks' to skip the paid subscriptions. Step 3: Authentication: You then need to answer certain questions regarding the loans and credit cards that you have to authenticate yourself. 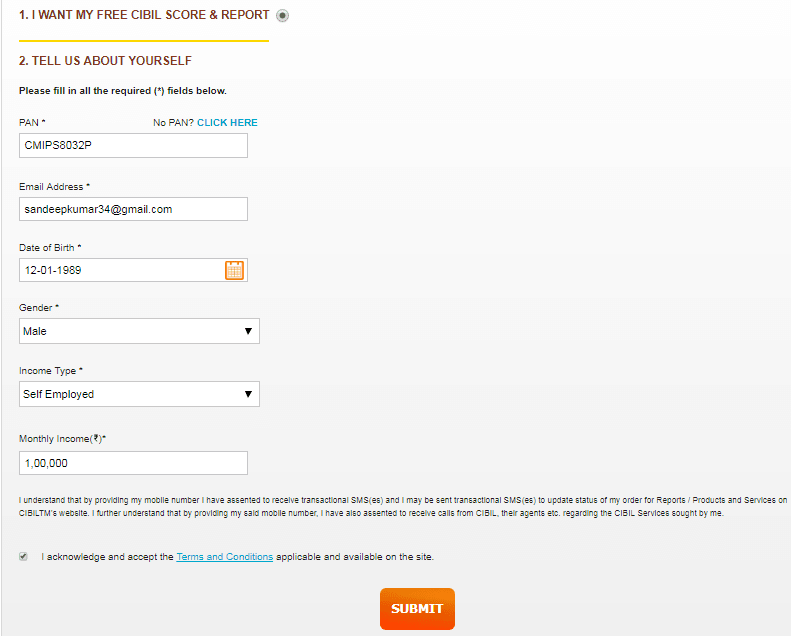 Step 4: The CIBIL Score: As you answer the questions and submit you will be able to access your free CIBIL score and report. So, now you know how to know your CIBIL score online free of cost.